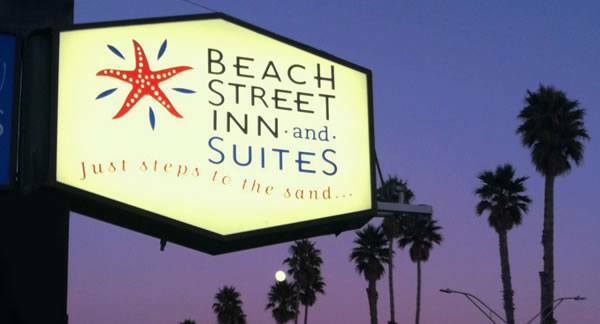 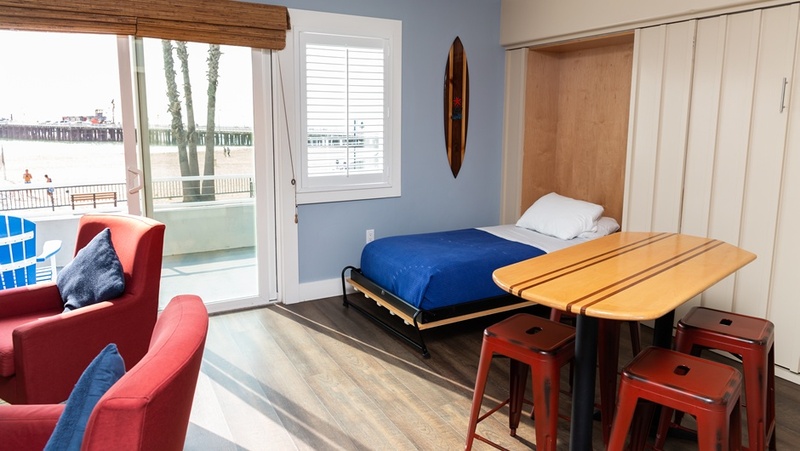 Positioned directly over the shops along Beach Street with views of the wharf, Boardwalk and Main Beach volleyball courts, these first terrace suites feature surf shack chic styling that captures the laid back Santa Cruz vibe. 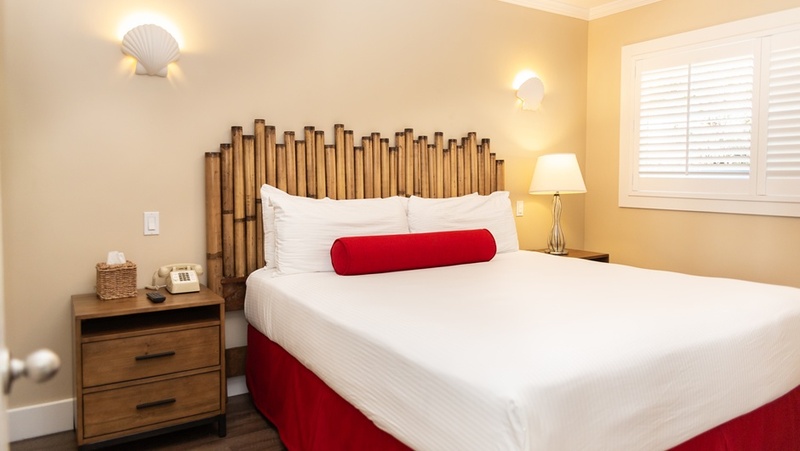 With a separate King bedroom, two twin size murphy beds and a fold out sofa bed in the living room, these suites sleep up to 6 guests. 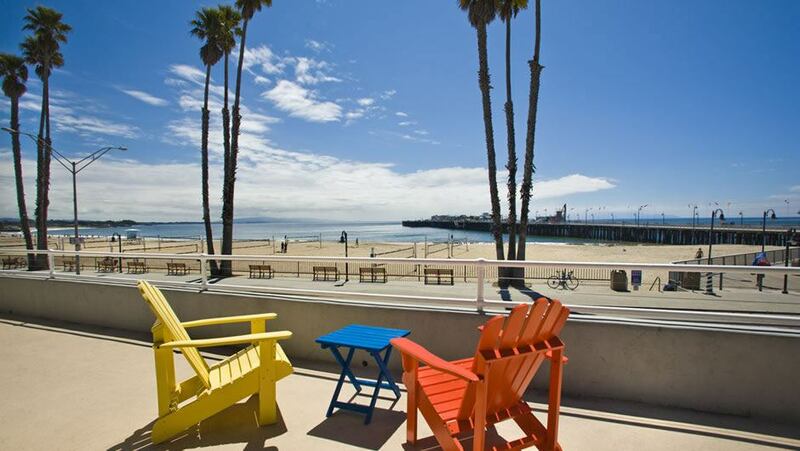 A sliding glass door opens out onto a shared balcony overlooking Beach Street. 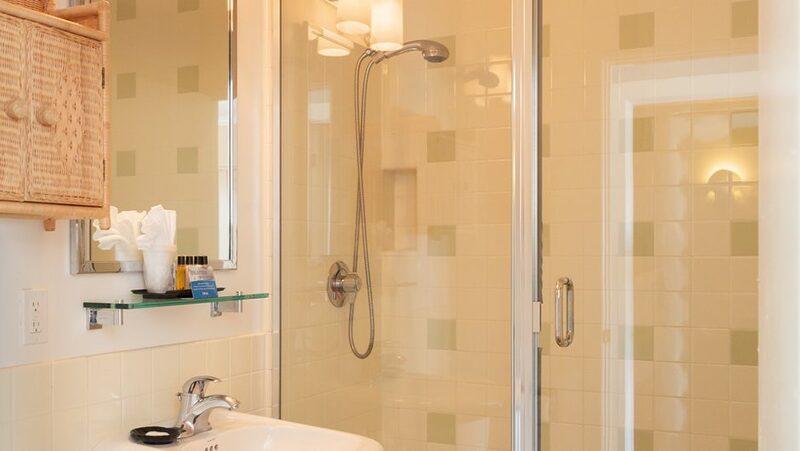 Each Suite features large flat screen TVs, complimentary wireless internet and phone calls. 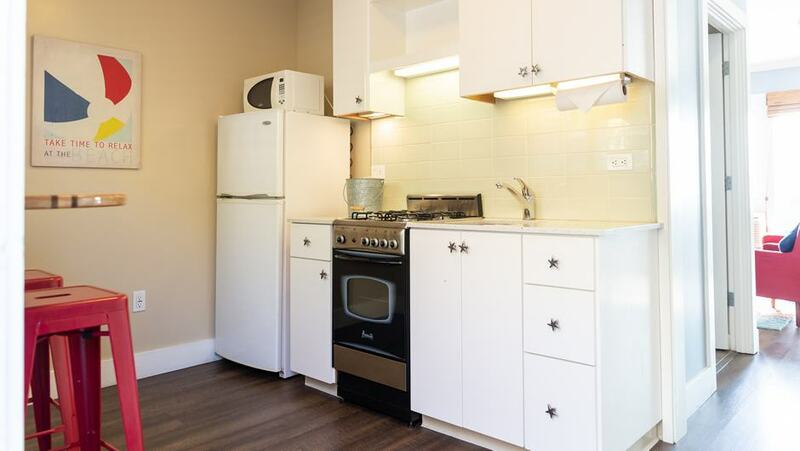 These rooms are equipped with full kitchens including ovens, stoves, refrigerators, microwaves and silverware, dishes and cooking utensils.